Video shows deadly encounter between gunman, officers he "ambushed"
EVANSVILLE, Ind. 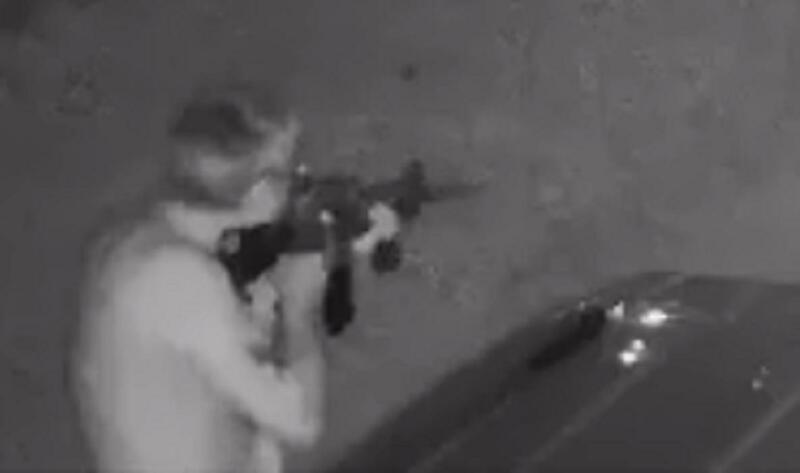 — Dramatic surveillance footage released by police in Evansville, Indiana show a nearly hour-long encounter between officers and a man they say targeted them, firing round after round, first from an AR-15 rifle and later from a shotgun, reports CBS affiliate WTTV. The Evansville Police Department released surveillance and body camera footage from the May 11 incident, which they say showed 51-year-old Barry Freeman firing at officers and their vehicles. Police said an Evansville detective eventually shot Freeman, who was hit twice in the chest but continued to fire shots after being wounded. He later died at an area hospital. In a Facebook post, the Evansville Police Department said Freeman "ambushed officers." A neighbor, Jeffrey Kempf, 56, was fatally shot during the encounter. Police believe Freeman mistook Kempf for a law enforcement officer and shot him. Kempf was pronounced dead at the scene. Police believe Kempf was checking on neighbors to make sure they were OK after hearing gunshots. No deputies or officers were hurt, even though police believe they were Freeman's intended targets. Police said Freeman fired dozens of rounds during the encounter. Gunfire from the incident damaged four law enforcement vehicles, four houses and two businesses. One of the police cruisers had 23 bullet holes. Investigators believe Freeman was specifically targeting police and noted that he didn't fire at civilian cars that passed by, firing instead at police vehicles. Surveillance footage from the shooting came from a neighbor's home, police said. Additional video was from officers' body cameras.